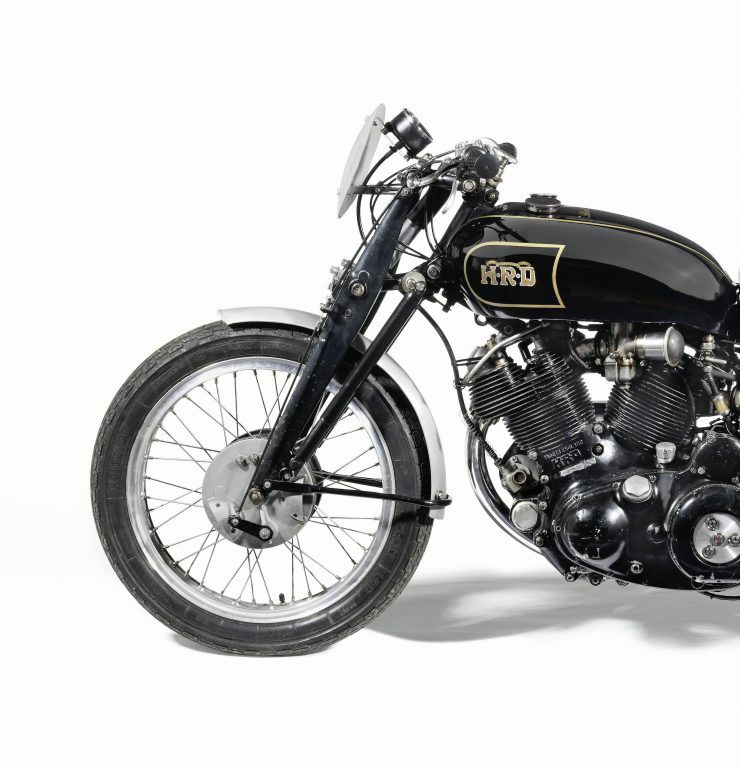 The Vincent Black Lightning was the fastest and most desirable motorcycle in the world when it was released in 1948. 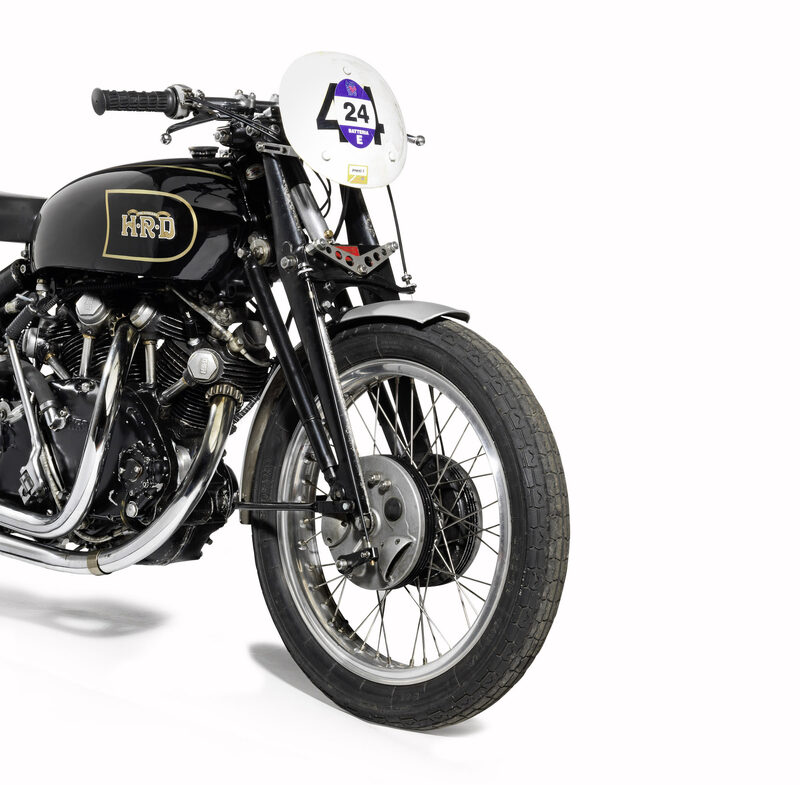 A factory-delivered Black Lightning was capable of 150 mph if you were brave enough, and no small amount of bravery was required as braking technology hadn’t yet caught up with rapidly increasing horsepower levels. 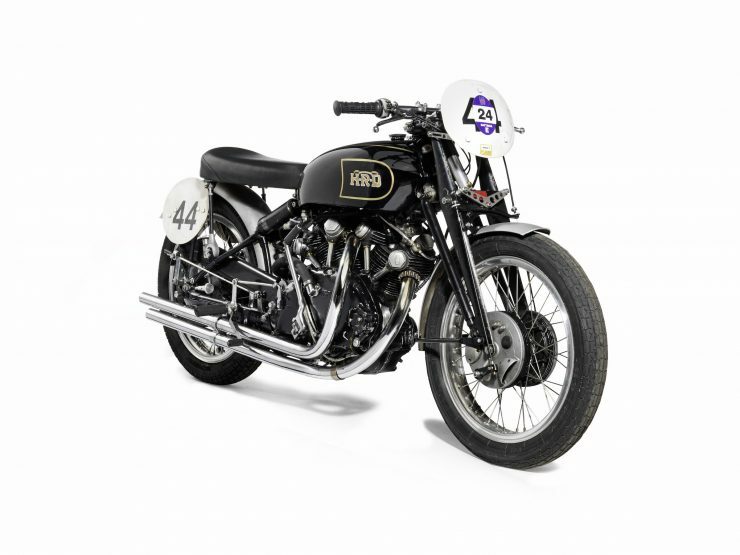 The Vincent Black Lightning project began life when London Vincent dealer Jack Surtees ordered a bespoke Vincent Rapide in 1947 with a significantly upgraded engine for racing. The Surtees engine was built alongside one other, which would go into the bike that would become known “Gunga Din” – the prototype test-bed for the motorcycles that would evolve into the Vincent Black Shadow and the Vincent Black Lightning. 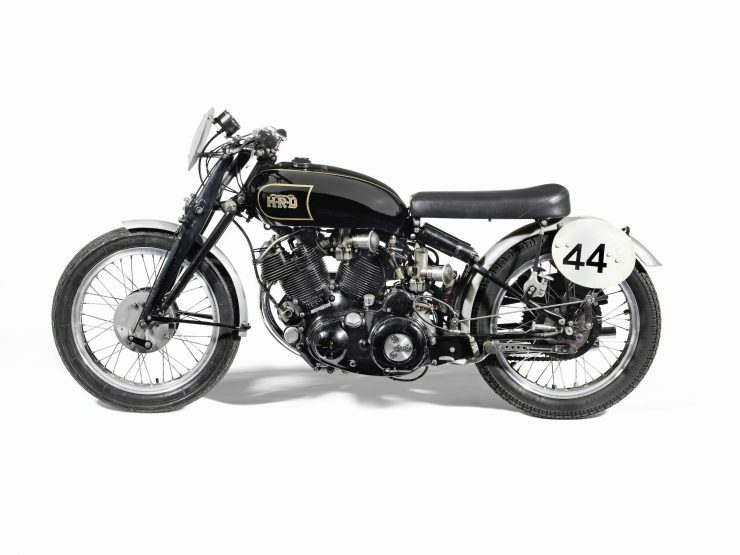 If the name Surtees sounds vaguely familiar to you and you can’t quite put your finger on it, you may be thinking of Jack’s son John, who is still the only man to win Grand Prix World Championships on both two wheels and four. 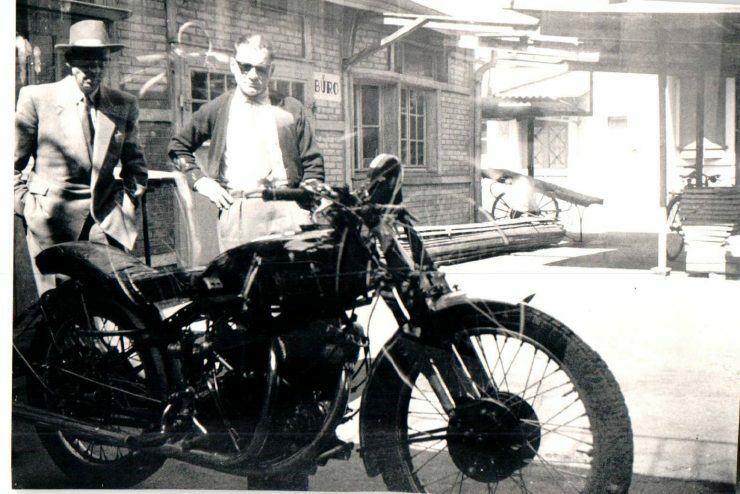 The V-twin used in the Rapide, Black Shadow, and Black Lightning was designed by Australian engineer Phil Irving. 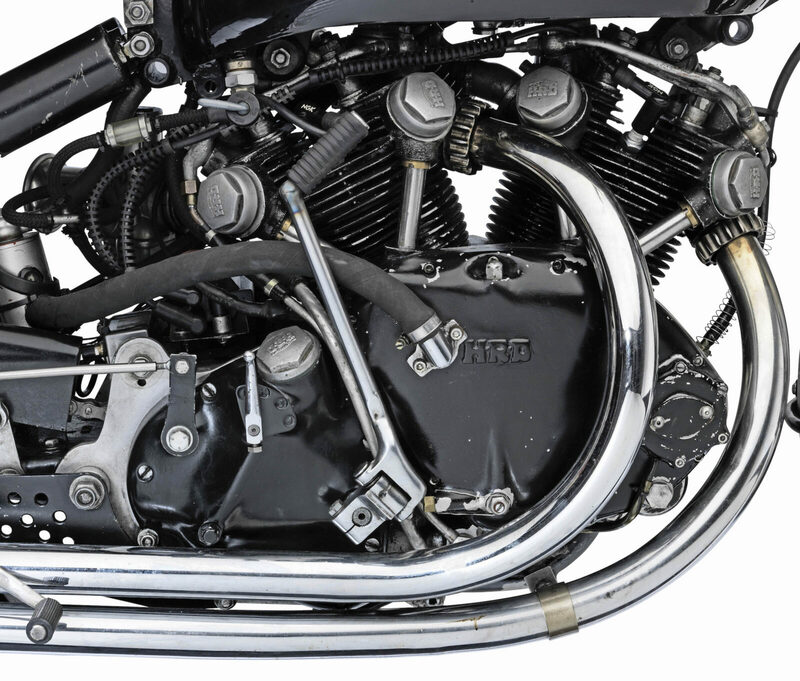 The story goes that Phil had blueprints of the Vincent Meteor single-cylinder engine on his desk, the way the blueprints were accidentally overlaid showed him that a V-twin could work perfectly using the barrels and heads of the single, just needing a new crankcase, crank, and a few other parts to work. 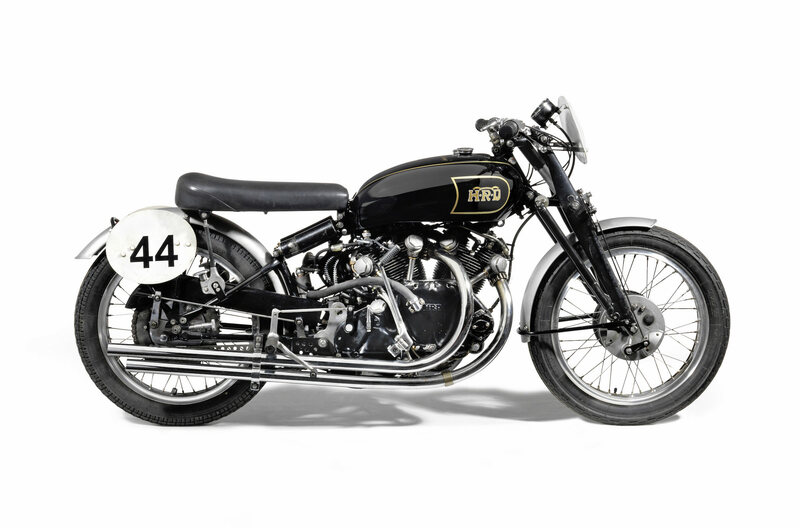 Later in his career Irving would develop the Repco V8 RB620 engine used by Australian driver Jack Brabham to win the 1966 Formula 1 Driver’s and Manufacturers’ Championship against the best drivers and engineers in the world. 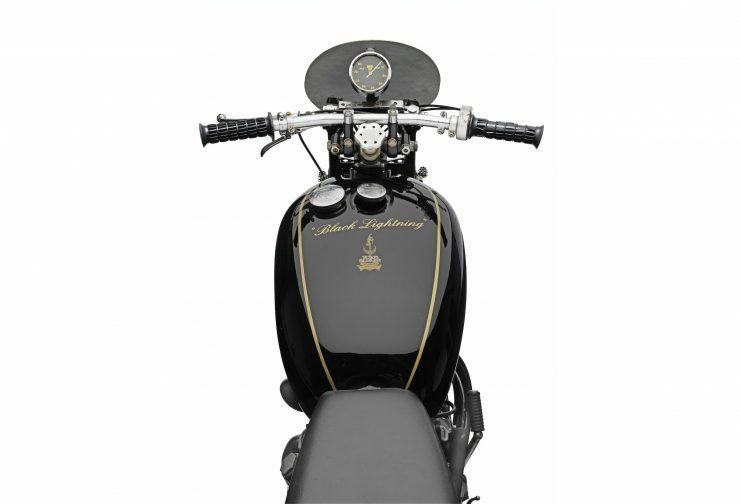 The Black Lightning wasn’t developed for street use (though they could be licensed for the road), they were intended for racing, and land speed record attempts. 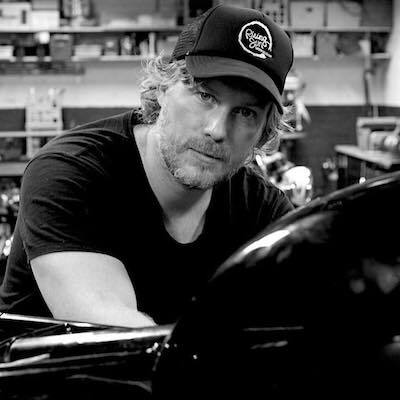 The 998cc V-twin was built specifically for performance, magnesium alloy components components were used extensively, high-performance Vincent cams with higher lift and more overlap were used, highly-polished Vibrac connecting rods and high-compression Specialoid pistons were installed, the combustion chambers and rockers were polished, the heads were ported and polished, and twin 1¼ inch Amal 10TT9 carburetors were installed. 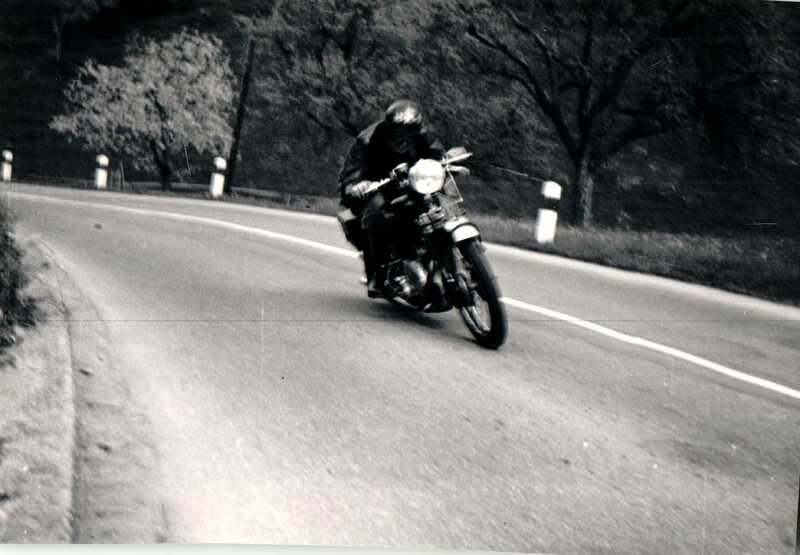 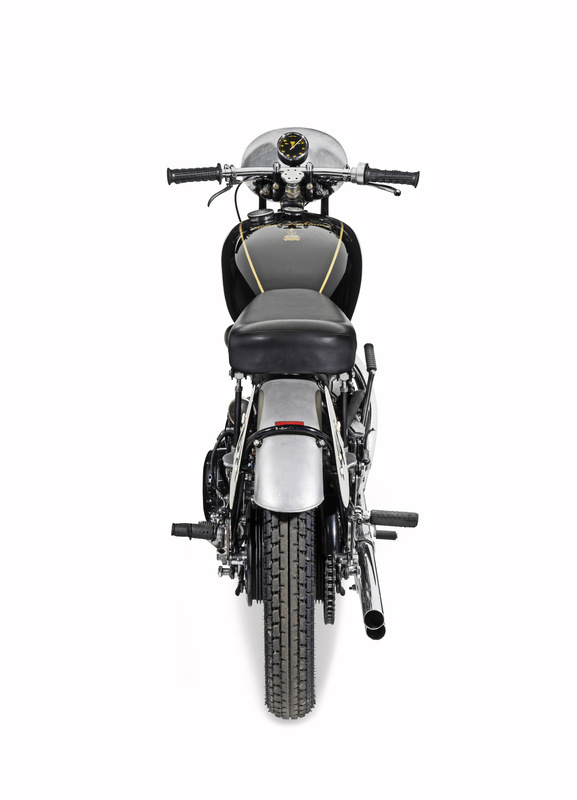 These highly-tuned engines were capable of 70 bhp – 15 more than the 55 bhp V-twins used in the Black Shadow. 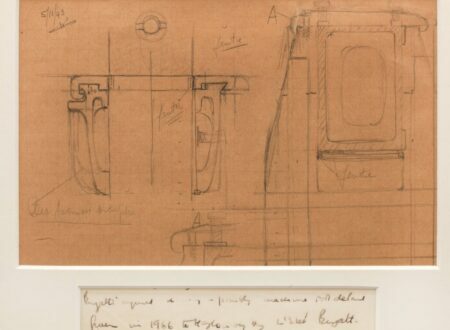 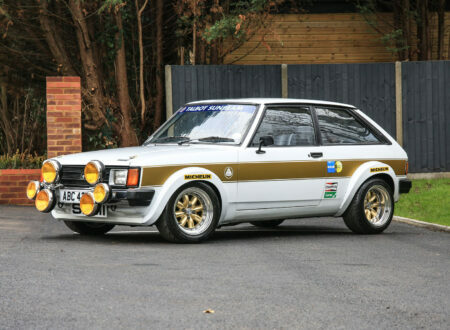 The kerb weight was a spritely 170 kilograms, notably less than the 208 kilogram weight of the Black Shadow. 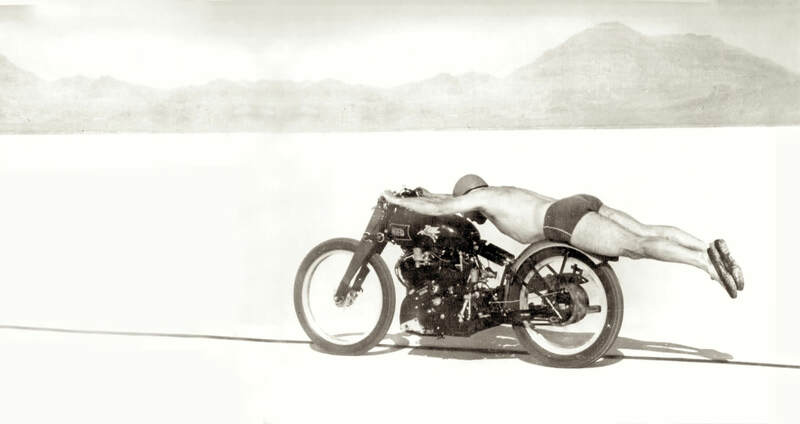 The 150 top speed was tested by a few including the legendary Rollie Free took his modified Black Lighting to a new US national motorcycle speed record at the Bonneville Salt Flats in 1948 (pictured below). 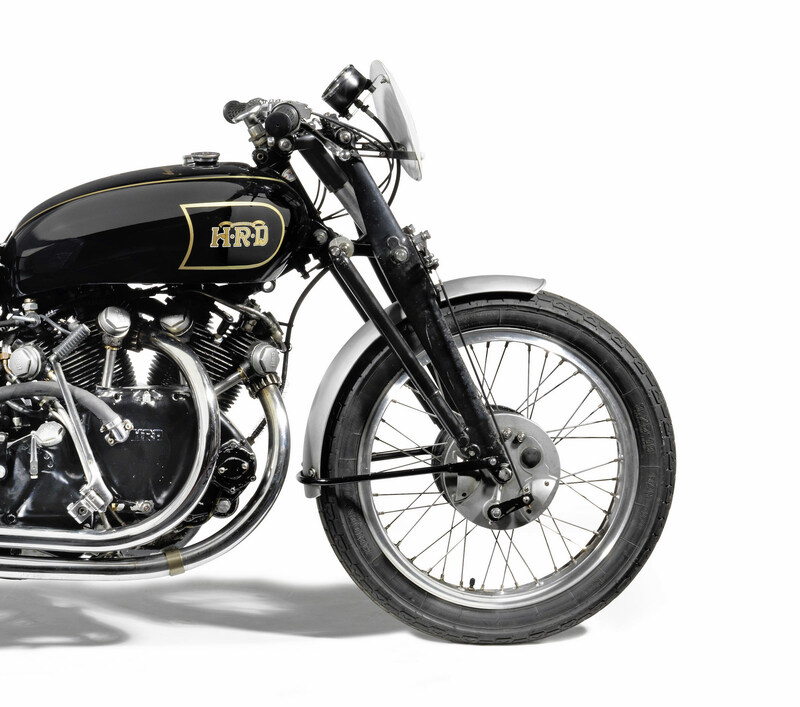 Over the course of the 1948 to 1952 production run Vincent-HRD built just 33 examples of the Black Lightning, and it’s believed that just 19 numbers-matching examples still exist. Collectors have begun referring to the model as the “Ferrari GTO of two wheels” in recent years as the prices have begun shooting skyward – the most expensive motorcycle ever sold at auction was a Vincent Black Lighting ridden by Jack Ehret to a new Australian land speed record, it fetched almost $1 million at auction. 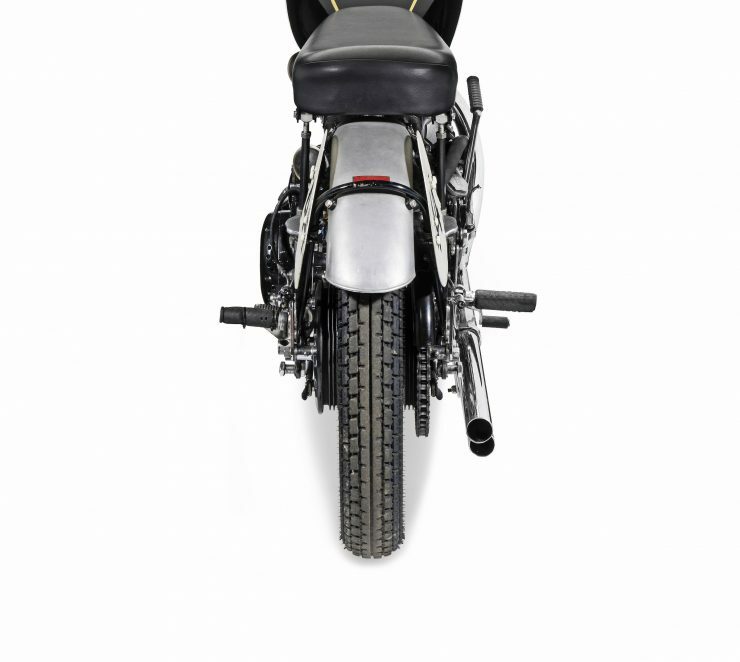 The Black Lightning you see here is just the second one that was ever made, it was ordered by Swiss racer (and NSU factory team racer) Hans Stärkle. 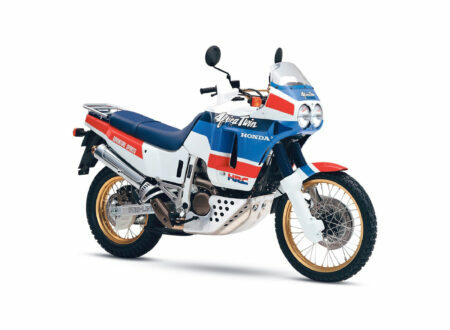 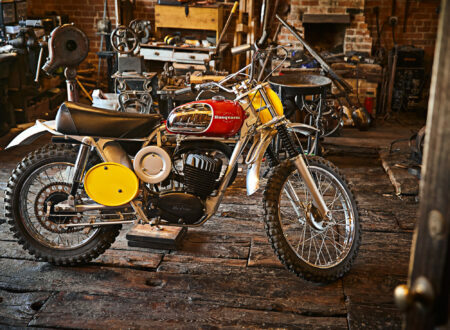 Impressively the bike has full ownership history from new, and it’s the earliest most original example in existence. 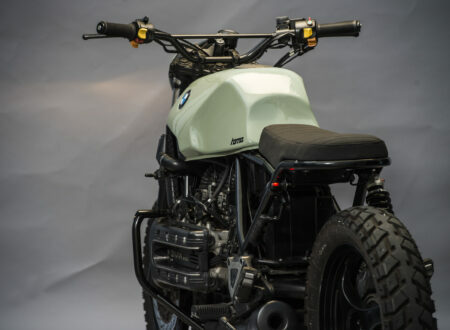 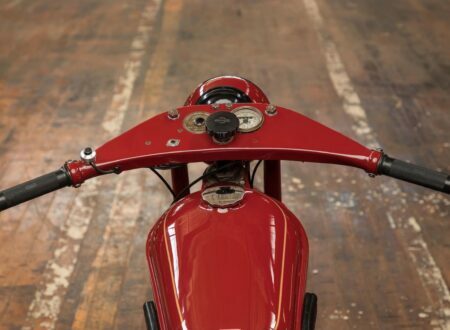 The interest in this bike will be global when it rolls across the auction block with Bonhams at the Barber Motorsports Museum in Birmingham, Alabama on the 6th of October. The current estimated hammer price is $400,000 to $500,000 USD, and you can click here to see more or register to bid.